"This is a very important event in the life of the church, as the synod gathers all our bishops from Ukraine and diaspora to jointly reflect on the needs of our church and to make appropriate decisions," explains the patriarch. 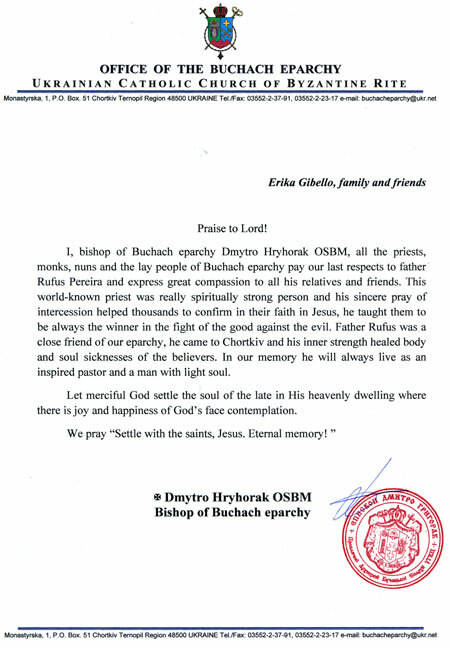 The head of the Ukrainian Greek Catholic Church His Beatitude Lubomyr on June 29 officially met with the Lutsk city chairman Bohdan Shyba, reports the Volyn Information Portal. At the meeting the hierarch was accompanied with the members of Permanent Synod and Bishop Josaphat (Hovera), Exarch of Lutsk of the UGCC. On June 19, 2010, in Kyiv began the international campaign “Keep the Memory Candle Alight” dedicated to honoring the victims of the Holodomor of 1932-33. As reports a correspondent of UNIAN, over 1.5 thousand people including the head of the Ukrainian Greek Catholic Church His Beatitude Lubomyr (Husar), Patriarch Filaret of the Ukrainian Orthodox Church-Kyivan Patriarchate, numerous hierarchs and priests, and notable public figures and politicians like Oksana Zabuzhko, Volodymyr Ohryzko, Vasyl Vovkun, and Volodymyr Stretovych gathered near the Holodomor Memorial to pray and honor the memory of the Ukrainians who became the victims of the artificial famine in Ukraine 1932-33. (29 Mar 2010 ) “Throughout his pontificate John Paul II firmly proclaimed the law, without weakness or hesitation, especially when faced with resistance, hostility and rejection”. 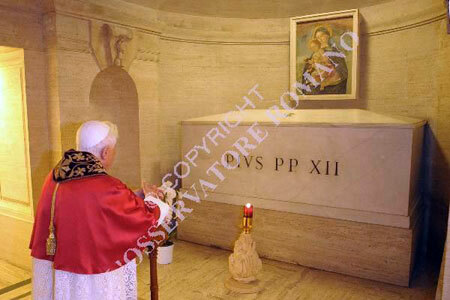 This is how Pope Benedict remembered the 27 years of his venerable predecessor at the helm of the Universal Church on Monday as he marked the 5th anniversary of his death on April 5th 2005. This year, the memorial mass in suffrage of the Polish Pope was anticipated, given that April 2nd falls on Good Friday. Concelebrating mass in St Peter's Basilica with the Holy Father were Vatican secretary of state, Card. Tarcisio Bertone, all of the Curia Prefects and Cardinal Stanislaw Dziwisz, who was Pope John Paul II ‘s personal secretary.